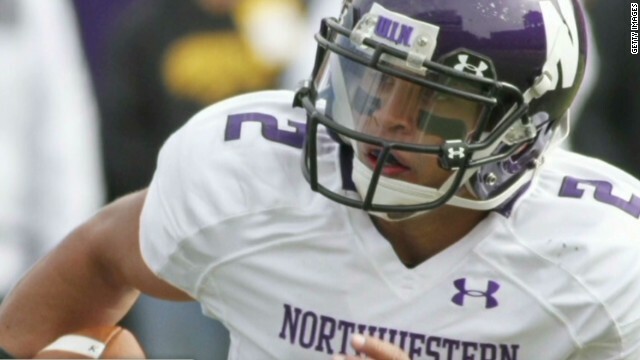 (CNN) — The National Labor Relations Board in Chicago has ruled that football players at Northwestern University are employees and can unionize, the board said Wednesday. But he noted an appeal would likely take years to resolve. The regional NLRB office said any requests for review of its decision must be filed with the board’s headquarters in Washington, D.C. by April 9. “We frequently hear from student-athletes, across all sports, that they participate to enhance their overall college experience and for the love of their sport, not to be paid,” said the statement from NCAA chief legal officer Donald Remy. “While improvements need to be made, we do not need to completely throw away a system that has helped literally millions of students over the past decade alone attend college. Last week, Northwestern University’s president emeritus said that if the football players were successful forming a union, he could see the prestigious private institution giving up Division I football. “If we got into collective bargaining situations, I would not take for granted that the Northwesterns of the world would continue to play Division I sports,” Henry Bienen said at the annual conference for the Knight Commission on Intercollegiate Athletics. He further said that if the players won their fight, private institutions with high academic standards — he specifically cited Duke and Stanford — could abandon the current model in order to preserve academic integrity. 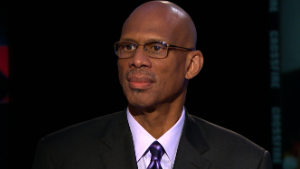 Bienen, who was president of Northwestern from 1995 to 2009, made his comments during a panel discussion that included a presentation from Ramogi Huma, the president of the National College Players Association (NCPA) and the man who helped organize former Northwestern quarterback Kain Colter to lead a unionization attempt. Huma talked, as he has for months, about the issues his organization sees as great flaws in the current NCAA model. The NCPA believes that athletes in the revenue-generating sports of college football and men’s basketball are taken advantage of by universities, conferences and the NCAA, making billions from games, while the players sometimes struggle with basic needs like medical care, concussion testing and guaranteed scholarships. In March, the NCPA took its fight before the NLRB in Chicago and presented a case during a five-day hearing. Both sides recently submitted court briefs. Northwestern’s appeal could go as far as the U.S. Supreme Court, and it could take years before there is a definitive decision. During his daylong testimony last week, Colter talked about year-round time requirements, at times 50 hours a week devoted to football. Colter said he had to give up his major related to pre-med studies because he couldn’t fit the classes into his schedule. The university countered that by bringing in students who were able to stay in rigorous classes, but Colter’s sentiment was echoed by the NCAA itself in a 2012 survey that asked athletes what they would change about their college experience. About 15% of men’s football, baseball and basketball players said they would have had different majors had they not been athletes. Twelve percent of Division I football players said athletics prevented them from majoring in what they wanted. The average time spent on athletics in-season hovered around 40 hours per week for all three sports, according to the survey. That flies in the face of the NCAA 20-hour rule, which states that, no matter the sport, coaches can’t take up more than 20 hours of their players’ time.